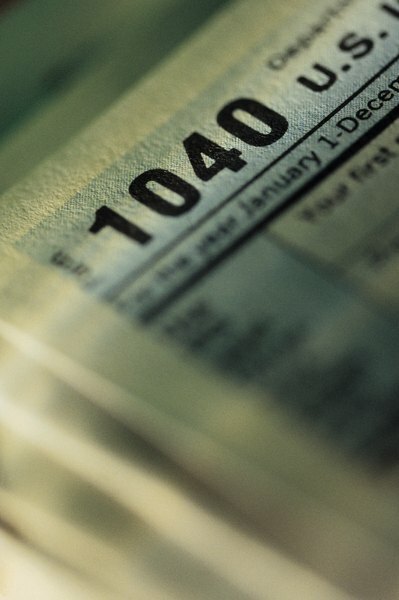 Selling stock means you must use Form 1040 for your taxes. Once you've inherited stock, you can sell it just like any other shares of stock. However, it gets complicated when trying to figure your capital gains on the sale. When you inherit stock, you get a step-up (or step-down) in basis to the fair market stock on the valuation date -- either the date of death or the date six months after the decedent died. Fortunately, no matter how long you've held the stock after inheriting it, your gain is treated as a long-term capital gain, which means you'll pay the lower long-term capital gains rates instead of ordinary income taxes. Calculate your basis for the stock. Your basis equals the average of the high and low value for the stock on the valuation date. For example, say the stock traded between $35 and $37. Your basis is $36 per share. If you inherited 100 shares, your total basis is $3,600. Sell the stock like you would any other stock. Generally, you'll need to use a broker to make the trade. Subtract the selling fees from your proceeds to find your net proceeds. Continuing the example, if you sell the shares for $4,015, but your broker charges a $15 fee, your net proceeds are $4,000. Calculate your gain or loss by subtracting your basis from your net proceeds. In this example, subtract your basis of $3,600 from your net proceeds of $4,000, giving you a gain of $400. Report the trade on your income taxes. You'll need to report the transaction on Form 8949, then the totals of all your trades are copied to Schedule D, where you combine them with any other capital gains or losses for the year. Your final tallies go on Form 1040. If you have a loss, you can deduct up to $3,000 of that loss ($1,500 if married filing separately) and carry over the remainder. CNN Money: How Do You Calculate the Cost Basis of Inherited Stock?